The Oklahoma Educators Hall of Fame is co-sponsored by the Oklahoma chapters of Phi Delta Kappa International. Jo Pettigrew always wanted to be a teacher and even received the Future Teachers of America award at Cushing High School. 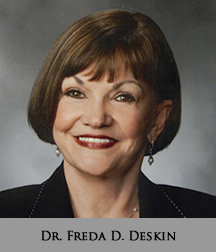 With 35 years in education, she served as executive director of the United Suburban Schools Association for nine years, and Assistant Executive Director and Legislative Director of the Oklahoma State School Boards Association for a dozen. 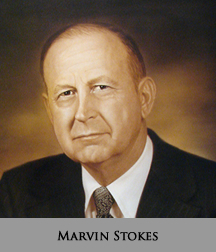 A founding member of the Oklahoma Education Coalition, Gov. 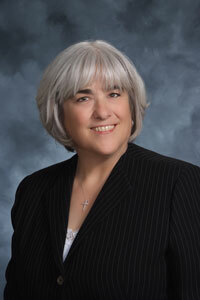 Brad Henry appointed her to the Oklahoma Ethics Commission in 2007. Reappointed by Gov. Mary Fallin in 2012, Dr. Pettigrew has served two terms as chairperson and continues as a member of the Oklahoma Ethics Commission today. 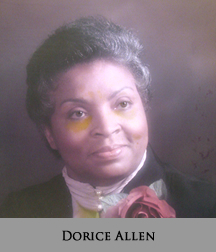 She is active in such diverse organizations as the Mid-Del Food Pantry, Oklahoma Library for the Blind and Christian Women’s Fellowship. 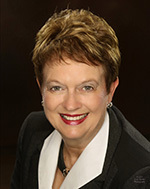 Prior to being appointed to the Oklahoma Ethics Commission, Jo Pettigrew developed a reputation as an effective lobbyist at the state and federal levels, and a well-researched advocate for education at the state Capitol. Superintendent of Fletcher Public Schools from 2004 to 2012, Kathryn Turner focused staff on results and vertical alignment of curriculum to improve student achievement. For the State Department of Education and various education organizations, Turner has been a mentor to school leaders statewide. Previously in Adult Education, Business and Industry Services at Moore-Norman Technology Center and developer of numerous innovative programs serving all grade levels, Turner may be best known as a Bridge Creek Elementary Principal. On May 3, 1999, Kathryn Turner began an 18-hour stint managing triage and morgue locations at the school; and in the following days and months, led her community through the aftermath of one of the most devastating tornadoes in world history. Just four years prior, she organized work crews to support emergency workers after the Murrah Federal Building bombing in Oklahoma City. An accomplished advocate for rural schools and, specifically, helping military children transition to new schools, Kathryn Turner is currently an active board member for Positive Tomorrows, a school that serves homeless children. 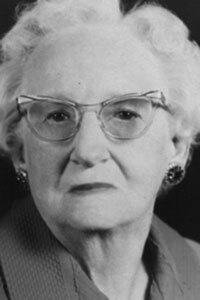 (Feb. 5, 1890 – April 14, 1982) – Beginning her teaching career at age 18, Kate Frank taught eight grades and served as janitor in a one-room school in Missouri before taking a business education position at Muskogee schools in 1919. 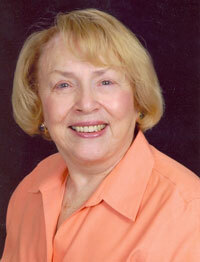 Throughout nearly 40 years teaching, she was active in local, state and national teacher associations. 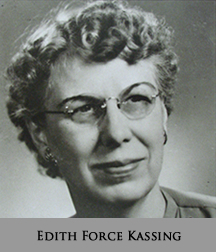 Kate Frank was the first female president of the Oklahoma Education Association (1937-38), and after her retirement in 1954 was well known as “Muskogee’s most active retired teacher.” In 1958, Frank was a founding member of the American Association of Retired Persons while also vice president of the National Education Association. 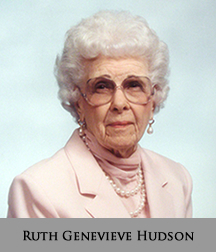 The same year, she secured funding and opened a nine-story, 96-apartment building in Muskogee especially for retired teachers. 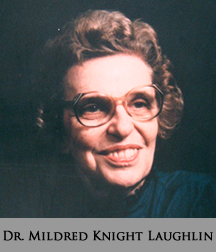 She was named National Retired Teacher of the Year in 1972, and continued her work in support of retired educators and senior Americans until her death. Frank's name lives on through the NEA Kate Frank/DuShane Fund which provides legal support for teacher rights and education issues in state and federal trial and appellate courts. 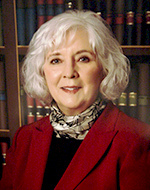 Janet L. Cunningham, Ed. 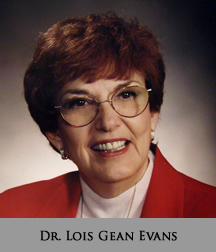 D.
President of Northwestern Oklahoma State University, Alva, since 2006, Dr. Janet Cunningham has been on the NWOSU faculty for 33 years and in education for 39. While president, NWOSU has seen an 84 percent increase in first-time freshman, and has added nine new endowed chairs. 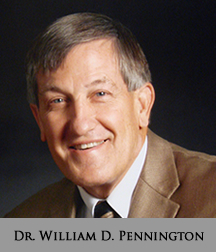 A Certified Public Accountant, Dr. Cunningham was appointed in 2010 to the State of Oklahoma Team for Complete College America. Kara Gae Wilson-Neal, Ed. D.
Currently Director of the School of Urban Studies at the University of Tulsa, Dr. Kara Gae Wilson-Neal achieved a long list of “firsts” in 32 years in education including first female superintendent at both Oklahoma City’s Metro Tech (1993-99) and Tulsa Technology Centers (2008-2012). She may best be known as Oklahoma’s last elected County Superintendent (Tulsa 1987-1993), one of the reforms of House Bill 1017 in 1990. William R. White, Ed. 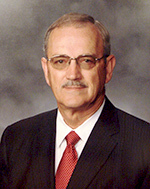 D.
With 38 years in education, Dr. William White has been a pioneer in the development of trimester scheduling, and implemented major technology integration plans as superintendent of Deer Creek (1984-1994) and Ponca City (1994-2004) public schools. 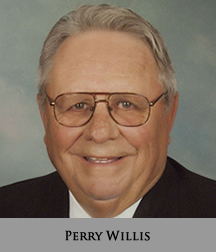 He had also served as interim superintendent in three school districts, and as Interim Executive Director for the Cooperative Council for Oklahoma School Administration (CCOSA) during 2009. 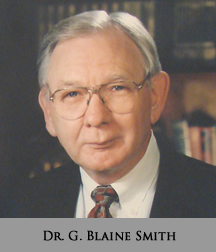 Dr. White retired in 2011 after nine years at Southern Nazarene University. 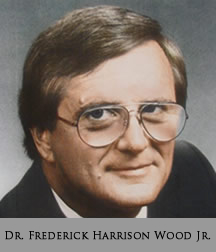 John M. Woods, Ph. 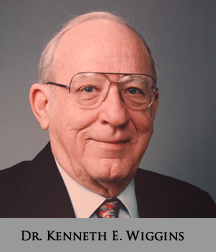 D.
Math Department Chair, grant specialist and professor at Southwestern Oklahoma State University since 1988, Dr. John Woods has excelled as a mathematician, educator and STEM (Science, Technology, Engineering and Mathematics) promoter for nearly 50 years. 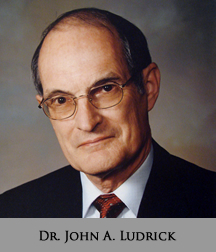 In the early 1990s, he helped advance input of the Oklahoma Council of Teachers of Mathematics in developing new state standards, and served on subsequent revision committees for the Priority Academic Student Skills. 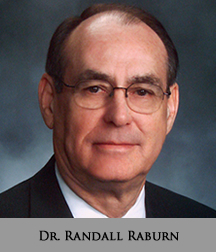 Superintendent of Bethany Public Schools since 1997 and an adjunct professor at Southern Nazarene University since 1990, has been an Oklahoma educator for nearly 40 years. 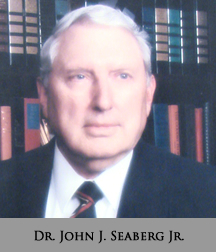 Prior to becoming a superintendent, Dr. Shellenberger worked for the Putnam City and Yukon Public schools starting out as a business education teacher and coach, and later becoming a principal. Currently a governor’s appointee to the Commission for Educational Quality and Accountability and the Special Education Task Force, Dr. Shellenberger is also the Oklahoma Association of School Administrators’ state representative to its national leadership conventions. In addition, he authors a quarterly column for Better Schools, a publication of the Cooperative Council for Oklahoma School Administration. Recognized in Oklahoma and nationally as a geographic education advocate, Glenda B.
her “teach-the-teacher” workshops and programs she coordinates for the Oklahoma Alliance for Geographic Education (OKAGE). Because her husband was in the military, 16 years were spent in Oklahoma, primarily in Lawton Public Schools until she retired in 2001, but she has also taught in schools in Germany (Department of Defense), Kansas, Missouri and Texas. In 2010, Mrs. Sullivan was presented the Outstanding Support for Geography Education Award by the National Council for Geographic Education. Betty J.C. Wright has spent most of her 49-year teaching career in Oklahoma but began as the only minority teacher at the American School in Mainz, Germany, in 1964. When her husband was transferred to Ft. Sill, she taught at a school for black students but later that same year was recruited to help integrate a school on Lawton’s north side. In just a few short months, she felt accepted by the students, parents and community. 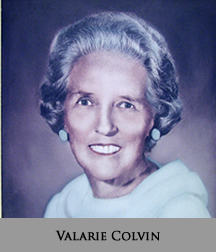 In 1979, she was recognized by the Lawton Chamber of Commerce for the system of teaching economic principles she had developed at Crosby Elementary. She also taught in the PROMISE program for Oklahoma City Public Schools, providing gifted programs for students in Kindergarten through fifth grade. 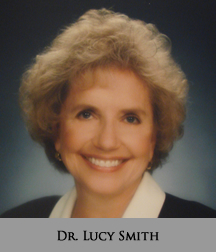 Among many awards and honors, she received the George Washington Honor Medal for Excellence in Economic Education in 1988, and the Presidential Award for Excellence in Mathematics Teaching in 1991. 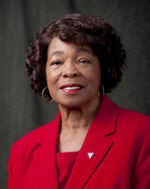 Regent Wright has also served 22 years on the Board of Regents for Rose State College, currently as vice president. 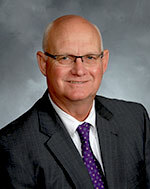 Superintendent of Schools – Oologah, Claremore and Tulsa Public Schools; Executive Director, OK State School Boards Association; University Professor – ORU, SNU, and OU; President, OK Association of School Administration; President, United Suburban Schools Association. Thirty-nine years in education. 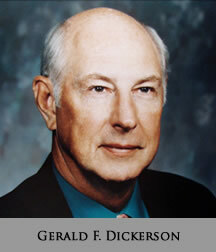 Pryor Superintendent, 1968-2008; OK Association of School Administrators Lifetime Achievement Award, 2008; 1991 OASA Superintendent of the Year; Pryor’s 20 most influential citizens of the 20th Century; Administrator of the Year by OK Music Educators Association, 2005. Fifty-two years in education. 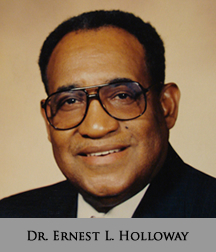 Visionary Educator & Administrator-Sapulpa Schools, Tulsa Community College, & Connors State College; First African American to serve as President in a predominately white OK college; Higher Education Hall of Fame; East Central University Educators Hall of Fame and Distinguished Alumni; Founder, OK African American Educators Hall of Fame and OK Legal Issues Conference. 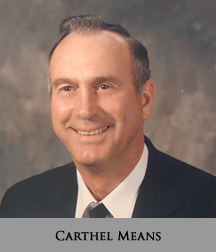 Teacher, Coach, Administrator – Caney Public Schools; Superintendent, Coleman Public Schools; Board of Directors, President and Executive Director for the Organization of Rural Oklahoma Schools; OK Schools Girls Basketball Coaches Hall of Fame 1992; State Superintendent, SDE. Forty-seven years in education. 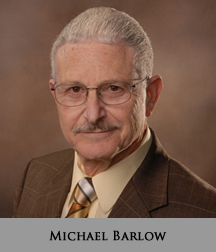 Michael Barlow's career spans more than 40 years, including being a teacher, administrator and local American Federation of Teachers (AFT) president for the Oklahoma City Public Schools, and, later Executive Director of the State AFT, and Director of Governmental Affairs with the Cooperative Council for Oklahoma School Administration. Since 1985 his company, Barlow Education Management Services, has provided consultation services to school districts on such issues as employee relations and evaluation, collective bargaining and professional development. He has been published in both state and national journals and he has received gubernatorial appointments to such organizations as the state advisory committee to the U.S. Office of Civil Rights and the Oklahoma Public Employee Relations Board. 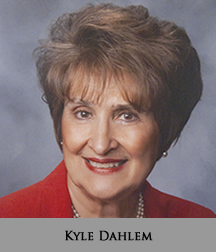 Kyle Dahlem's career also spans more than 40 years and includes being an English teacher, adjunct professor, school librarian, district administrator and former president and vice president of the Oklahoma Education Association. 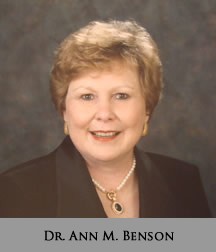 From 2000 until her retirement in 2009, she worked for the Oklahoma State Regents for Higher Education as the director of Teacher Education and the Minority Teacher Recruitment Center. 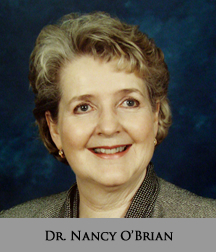 In 2008, she received the Oklahoma Teacher of the Year Association's highly coveted "Vision Award." 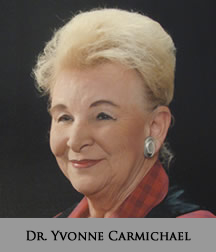 She has been active and served on the National Board for Professional Teaching Standards, and is currently president of the Board of Directors of the DaVinci Institute, Oklahoma's creativity think tank. 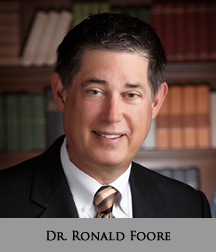 Dr. Foore's career spans 37 years in Tulsa Public Schools, the last 12 of which have been at Booker T. Washington. 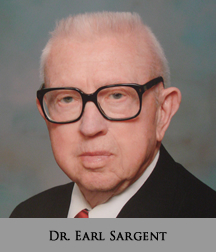 He earned his doctorate in Educational Administration from Oklahoma State University and both his bachelor's and master's degrees from Northeastern State University in Tahlequah. He is a National Board Certified Teacher and the 2000-2001 Oklahoma Society of the Daughters of the American Revolution Oklahoma Teacher of the Year. Other honors include the Teacher Touching Tomorrow Award (1999), the Phi Delta Kappa Service Key Award (1990), the National Public School Administration Doctoral Scholarship Award (1989) and the U.S. Jaycees Outstanding Young Man of America Award (1982). He has been the senior writer for two textbooks, "Glencoe Understanding Psychology" and "The American Nation." 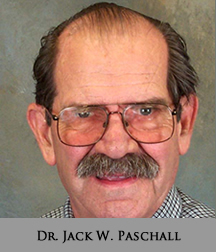 Dr. Paschall's career spans 44 years, having earned his doctorate in secondary education and instructional technology at the University of Oklahoma and both his bachelor's and master's degree in secondary history and education at Southeastern State University in Durant. He has conducted numerous research and consulting projects in instructional technology, classroom management and multicultural education and has served on the ECU faculty for 39 years. 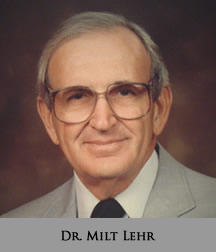 He was the university's Graduate Dean from 1990 to 2000. 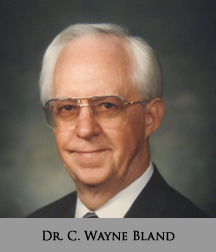 Music Teacher, Orchestra Conductor; Director of Fine Arts, Norman Public Schools; Founder, Oklahoma Center for Arts Education; Oklahoma Music Educators Hall of Fame; Dean, College of Arts, Media and Design University of Central Oklahoma. 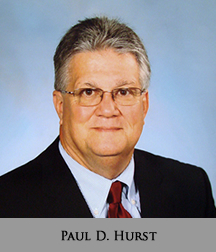 Teacher and Education Leader; Assistant Superintendent, Mid-Del Public Schools; Superintendent, Tahlequah Public Schools; Superintendent, Putnam City Schools; President, United Suburban Schools Association; Oklahoma Administrator of the Year, 2007. 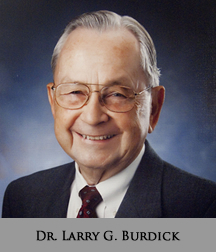 Oklahoma Educator and Civic Leader; Historian of the American West and Indian History; 18th President of Murray State College; President of Enid Rotary Club; State Coordinator, Phi Delta Kappa. 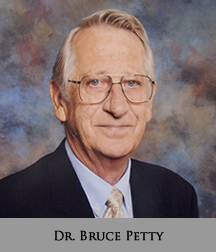 Superintendent, Poteau Public Schools, 1976-2000; Assistant Superintendent, Principal, Teacher/Coach, Norman Public Schools. 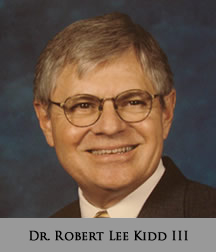 OASA Administrator of the Year, 1993; President, 1996; Lifetime Achievement Award, 2000. Forty years in education. 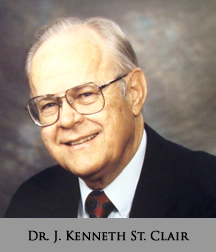 (1934- ) Dean, School of Education, Bernhardt Professor of Education, Southwestern Oklahoma State University, 1967-2003; Charter Member of Phi Delta Kappa, SWOSU; Teacher, Ponca City High School. National President, Alpha Phi Sigma Honor Society. 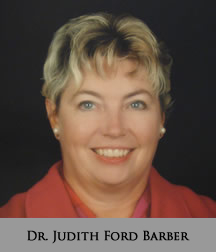 Member, Executive Committee, Red Rock Behavioral Health Services. Thirty-nine years in education. 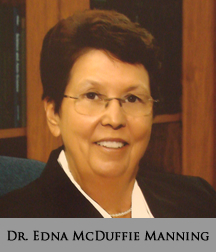 Founding President, Oklahoma School of Science and Mathematics; Superintendent, Shawnee Public Schools; Assistant Superintendent, Edmond Public Schools. OWEA President. Top 100 Administrators, 1984. AASA Women’s Caucus President. Forty-four years in education. Leader and Consultant for the Oklahoma Effective School Movement. 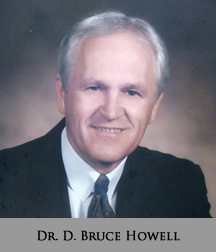 President Oklahoma Association for Supervision and Curriculum Development, 1986-1988. 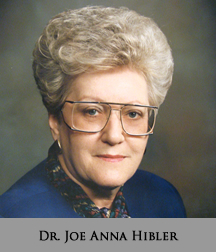 Superintendent of Sapulpa Public Schools 1987-1999. Community and Civic Leader. Forty-one years in education. 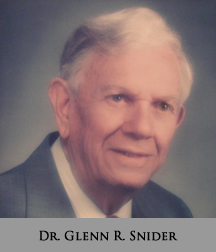 (1933- ) Superintendent of Schools of four Oklahoma School Districts: Edmond, Midwest City-Del City, Sapulpa, Central High. 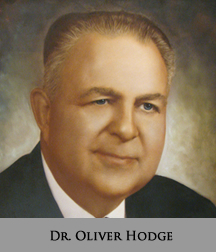 Oklahoma Administrator of the Year, 1984, 1992. President, Oklahoma Association of School Administrators. President, United Suburban Schools Assn. OSU College of Education Hall of Fame. 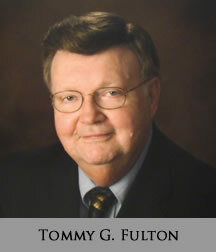 Cooperative Council for Oklahoma School Administration Executive Director 1995-2007. Forty-four years in education. Leader in Science Education, The University of Tulsa. Teacher, Principal, and Superintendent in Oklahoma/Colorado Schools. Twice President of Oklahoma Science Teacher's Association Member of the Oklahoma Science Hall of Fame. Director of the Tulsa Regional Science Fair. Retired WWII Veteran (Meterologist). NASA Consultant, Washington, D.C. Sixty years in education. 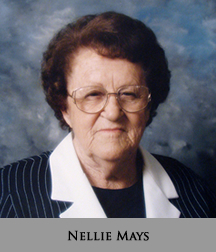 (1917- ) Teacher, Counslor, Administrator, Superintendent, McAlester Public Schools 1985-2006. 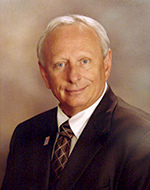 Oklahoma Administrator of the Year, 2005. OK Foundation for Excellence in Public School Administration, 1994. Forty-five years in education. Teacher, Curriculum Instructor, Arts-in-Education Coordinator, Principal, and Director of Curriculum and Instruction, Norman Public Schools; Special Instructor and Adjunct Professor, University of Oklahoma; President of School District Consulting Company. Thirty-seven years in education. 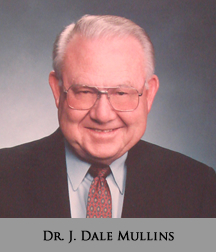 (1945- ) Biology and Science Teacher and Department Chair, Putnam City and Purcell Public Schools and Redlands Community College; Assistant Dean of Instruction and President, Redlands Community College; President, East Central University; President, Presidents’ Council, Board of Regents of Oklahoma Colleges. Forty-six years in education. Art teacher, Jarman Junior High, Mid-Del Public Schools; "Teacher of the Year"; President and Deputy Executive Director of the Oklahoma Education Association; Chairman of the Board of Trustees of Oklahoma Teachers’ Retirement System; Appointed to the AARP/NRTA Pension Round Table. Twenty-nine years in education. Teacher, professor at the Oklahoma Department of Vocational and Technical Education and Oklahoma State University; state director and executive officer of the Oklahoma Department of Career and Technology Education and the State Board of Career and Technology Education. 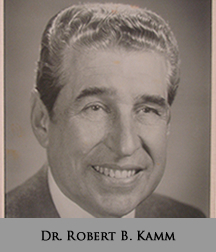 (1945- ) Teacher, instructor in the United States Air Force, professor and administrator at Northwestern State University; executive director of the Oklahoma Education Council and educational consultant to Governor David Boren. Thirty-eight years in education. Teacher, administrator, professor and head of the Division of Curriculum and Instruction, Penn State University; professor and dean, College of Education, University of Oklahoma; outstanding research, service, and publication awards; mentor and inspirational leader. Forty-four years in education. 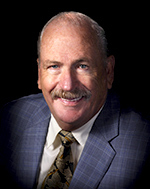 Oklahoma Medal of Excellence in Teaching; Oklahoma Medal of Excellence in Teaching and Administration; John Sheffield "Teacher of the Year" Award; department chair of health and physical education; "Distinguished Teaching Award"; U.S. Olympic Festival ‘89 synchronized swimming sports coordinator, Texas Women of Distinction. 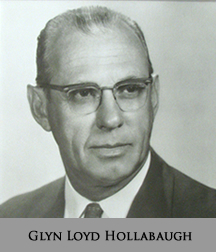 (1934- ) Thirty-five years teaching at Northeastern Oklahoma State University; director of intercollegiate athletics; "Teacher of the Year"; national Basketball Coach of the Year; Oklahoma Coaches Association Hall of Fame; Oklahoma Governor’s Council on Physical Fitness. Fifty years in education. Oklahoma Medal of Excellence in Teaching; Norman Public School’s "Teacher of the Year"; Hall of Fame for Oklahoma Music Educators; Governor’s Arts Award in Arts & Education; founder, Circle the State with Songs; founder, All State Children’s Chorus. Teacher, coach, administrator, developer of educational leaders; adjunct professor; Superintendent, Bethany Public Schools for over seventeen years; Currently, consultant and lobbyist for education. Thirty-six years in education. 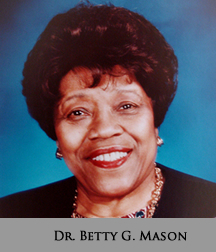 (1936- ) Teacher, school counselor, administrator, Tulsa Public Schools; Assistant Professor, SEOSU; first director of Upward Bound; Associate Professor, Professor and Associate Dean at The University of Tulsa, teaching educational psychology and counseling courses. Forty-eight years in education. 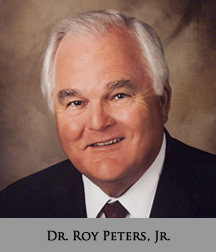 Leader in Middle School Education; President, Tulsa Teachers Credit Union; Chairman, Teachers Retirement System of Oklahoma Board of Trustees; Community Service through Red Cross and Community Services Council. Thirty-five years in education. 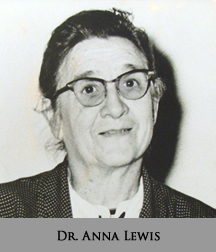 (1929- ) Teacher; administrator of gifted programs; state coordinator of gifted and talented; state director of rural education; Secretary of Education and State Superintendent; Advocate for school reform. Thirty-one years in education. Inducted 2000. 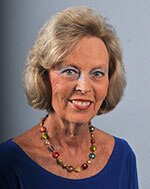 She served 20 years as the State Superintendent of Public Instruction. Elementary and secondary teacher; supervisor of elementary education, Tulsa Public Schools; reading clinician; Professor and Chair, elementary education, Department of Education, OSU; Consultant for Newspapers in Education; Active in Stillwater Dance Club. 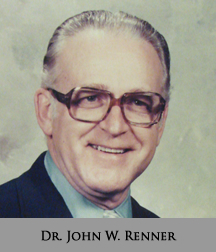 (1909-2001) Classroom teacher; director of Beaver County Cooperative Guidance Program; school superintendent; special instructor at Oklahoma University; Executive Director of Oklahoma State School Boards Association; Civic Leader. Forty years in education. 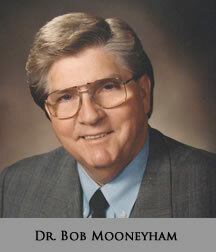 Teacher, department chair, principal, assistant superintendent, Moore Public Schools; adjunct assistant professor, OU; instructor, supervisor of student teachers, UCO; listed in Who's Who in American Education; member of Moore School Board. 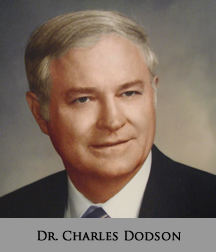 (1929- ) Teacher, principal and reading specialist, Kansas, California, Missouri; superintendent of schools, Gary, IN, Oklahoma City; wrote and implemented program for delinquent high school students; received Citation for Excellence in Education; Governor's Award, 1988. 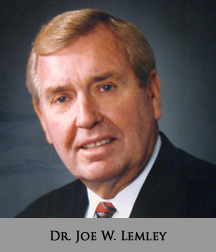 Teacher, division chair, dean of instruction, business manager while helping to establish community colleges in Dallas, TX, and Moses Lake, WA; President, Tulsa Community College; developed "2+2+2: Bridging Common Education and Higher Education." 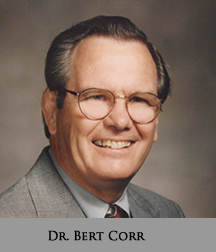 President emeritus and professor of agricultural economics, Oklahoma State University; National 4-H Council board of trustees; 1989 National Osteopathic Educator of the Year; 1994 Henry G. Bennett Distinguished Service Award; 1996 Oklahoma Higher Education Hall of Fame. Forty-nine years in education. 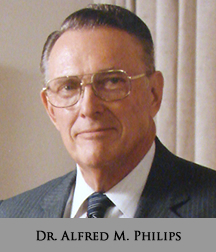 (1923-2001) Superintendent, administrator, professor, teacher, Oklahoma Foundation for Excellence Administrator of the Year; University of Oklahoma Regents Alumni Board. Thirty-six years in education. 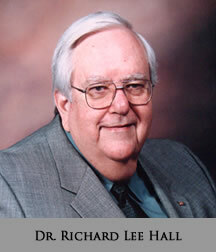 Professor emeritus at University of Oklahoma; author, teacher, researcher, scholar; founder of the New Chaucer society. Forty-eight years in education. 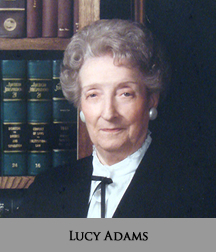 (1918-1998) Administrator, teacher; Executive Secretary of OASCD; President, OEHF and ASBO; Assistant Superintendent, Broken Arrow and Tulsa Public Schools; Interim Superintendent, Union Public Schools. Forty-one years in education. 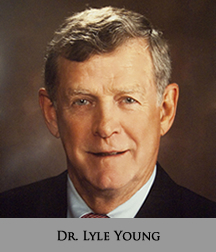 Mentor, education leader, lobbyist, teacher, coach and principal; Superintendent at Byng Public Schools for over 30 years; Father of Integrated Academic and Vocational Programs. Sixty-two years in education. 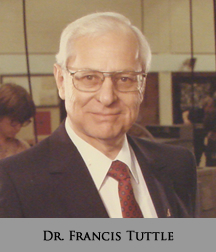 (1914-2005) Author, teacher, and aviaton leader, professor and head of department of OSU Aviation and Space Education; father of the "Spacemobile" Program-NASA; coordinator of the Teaching from Space program. Forty-one years in education. Administrator, teacher, President of Langston University, Professor of Education and Assistant Professor of Biology, Dean of Student Affairs, college registrar; teacher and principal at Boley High School. Forty-three years in education. 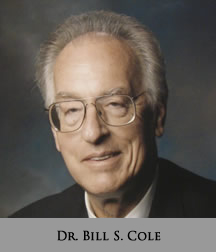 (1930-2012) Professor of Science Education, University of Oklahoma; mentor to a generation of teachers; consultant, author, civic leader, scholar, OU Teacher of the Year, scientific researcher, administrator. Thirty-eight years in education. 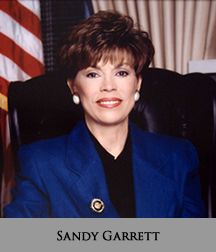 Education advocate, mentor, civic leader, teacher, and coach at Boynton; Superintendent, Council Hill and Midwest City-Del City, first principal at Midwest City High School; board member, Oklahoma Teachers' Retirement System; National Leader of Federal Impact Aid; Honorary Life Member of State and National PTA. Forty-six years in education. 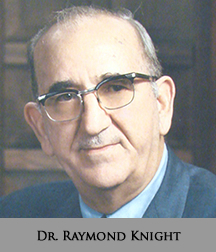 Teacher, administrator, civic leader, first superintendent of Tulsa Vocational-Technical Schools now known as Tulsa Technology Centers. Forty-three years in education. 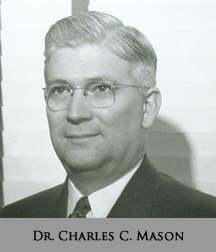 (1925- ) Teacher, coach, counselor, administrator; Professor and Dean, College of Education, University of Central Oklahoma; Developed a teacher and student exchange program with Daewon School Foundation of Seoul, Korea. Thirty-nine years in education. Teacher, Dean of Students and Associate Professor of Education, and President, NWOSU. Thirty-five years in education. Classroom teacher; primarily taught music at Sand Springs, Tulsa and Blackwell Public Schools and in Kansas; civic leader. Forty-five years in education. 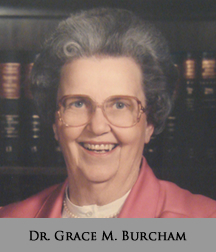 (1906-2007) Teacher, first school librarian in Norman Public Schools; Professor, School Media Administration, Children’s/Adolescent Literature, School of Library and Information Studies, University of Oklahoma; Founder of the "Festival of Books." Forty-six years in education. Teacher, administrator, Principal, Greasy Public Schools from 1940-1993. Administered one of the first Head Start and bilingual education programs in Oklahoma. Sixty-two years in education. 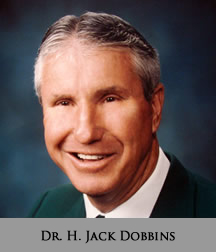 Teacher, coach, Superintendent of Tulsa Public Schools; Professor and Chair, School of Educational Administration and Research, The University of Tulsa. Forty-two years in education. (1931- ) Vocational Agriculture teacher, Professor and Head, Agricultural Education, OSU; Father of the Oklahoma Young Farmer Program. Fifty-nine years in education. Teacher, coach, administrator, Professor and Chair, Educational Administration, The University of Oklahoma; Developer of educational leaders, Key contributor to Leadership in Educational Administration Development (LEAD) Program. Forty-two years in education. 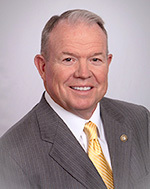 Business teacher, civic leader; Dean, School of Business, Executive Vice President and President of SWOSU; President, National Business Education Association. Twenty-seven years in education. 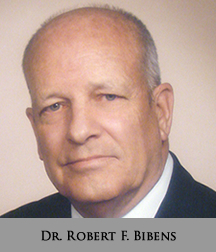 (1939- ) Teacher, higher education administrator; President, Sheridan College, Wyoming; Founding President, Big Bend Community College, Washington; Vice-Chancellor, Dallas County Junior College District, Texas; Founding President, Tulsa Junior College, Oklahoma. Fifty years in education. Teacher, administrator, professor, Department of Educational Administration and Higher Education, OSU; Co-author of the Leadership in Educational Administration Development (LEAD) program. Forty-one years in education. 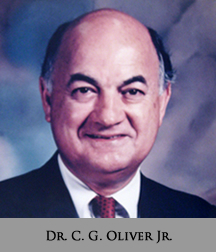 High school teacher, superintendent; higher education administrator, college dean, junior college president; established "Quick Start" industry program. Forty years as public servant. 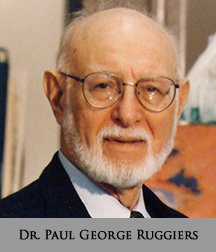 (1922-2005) Leading authority on reading education; reading consultant, teacher, lecturer, professor, administrator. Thirty-nine years of public school service. Teacher, principal, coach; professional educator and civic activist; originated program of psychomotors skills development combining cognitive learning with physical activity. Thirty-seven years of public school service. (1933- ) Elementary, junior high school teacher; implemented dropout prevention and in-house suspension programs; known for work with "at-risk" secondary students. Thirty-one years of public school service. Classroom teacher and civic leader; State President AAUW; Garfield County Teacher of the Year Award; UNESCO Delegate. 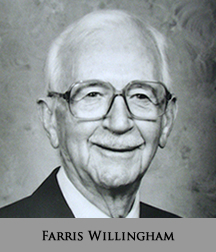 (1906-1998) Regents professor; Chair, Department of Education, SWOSU; Director of Teacher Education, OU; Chair, National Commission on Human Rights and Responsibilities in Education; Founder, S.W. Center for Human Relations. 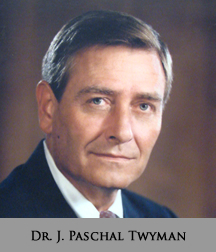 Administrator, researcher, teacher; President of University of Tulsa, 1968-1989. 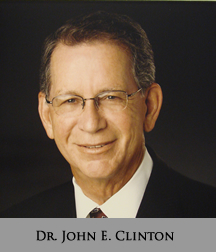 Teacher, coach, academician, role model professor; Chair, Department of Educational Leadership, University of Oklahoma; nationally recognized author of the cluster plan for urban education. 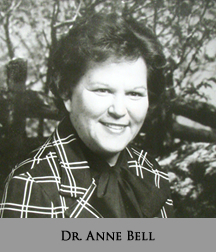 (1927-1990) Professor and Chair, Elementary Education, Southwestern Oklahoma State University; teacher at Hinton, Centralvue and Lone Wolf; First "Teacher of the Year" at SWOSU; 1982 Outstanding Woman of Achievement in Delta Kappa Gamma. 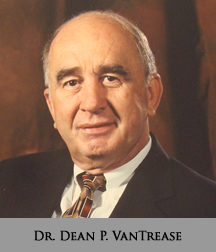 Teacher, church and civic leader, professional leader; Superintendent of Broken Arrow Public Schools; 1982 Oklahoma Administrator of the Year; Member, Oklahoma Vo-Tech Board. 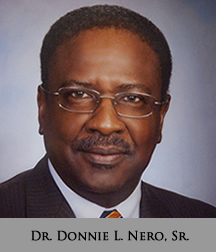 Professor and Chairperson, Department of Health, Physical Education and Recreation, OSU; five-term chair, State Board of Women Officials; national leader in physical education. 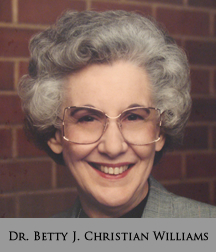 (1904-1988) Professor and Chair, Department of Languages, Literature and Linguistics, OU; Founder, Oklahoma Foreign Language Teachers Association. 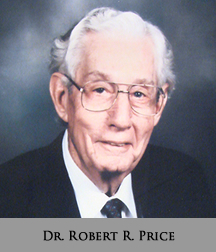 Teacher, coach; Superintendent, Union Public Schools, Broken Arrow Public Schools; Member, State Board of Education, 1956-66. 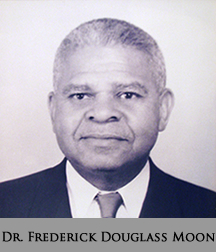 (1901-1993) Teacher, administrator at Crescent, Wewoka and Oklahoma City Public Schools; known as "the dean of Black education" in Oklahoma. 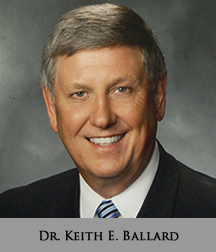 Civic and educational leader; President, Oklahoma State University. 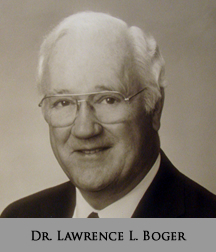 (1919-2008) Civic leader; principal, Lowell Elementary and Will Rogers High School, Tulsa; President, OEA; President, NASSP. Teacher, coach, principal, superintendent, lobbyist; President of OEA; President of Oklahoma High School Athletic Association; Founder, Oklahoma Professional Practices Commission and Oklahoma Rights and Responsibilities Commission. 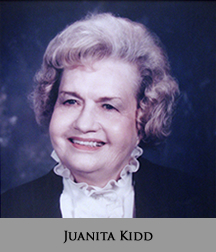 Prominent Enid classroom teacher, civic leader, school librarian. 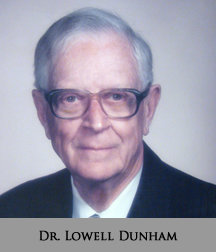 (1931-2005) Scientist (ornithologist and herpetologist) and classroom teacher at Wilson Junior High School, Tulsa. Teacher, counselor, civic leader, President of OEA, Director of NEA; member of OETA Board of Directors. 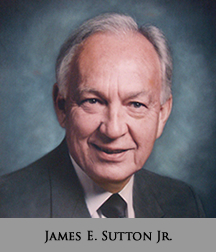 (1918-2013) Teacher, principal, author; Superintendent, Tulsa Public Schools, 1944-1970. 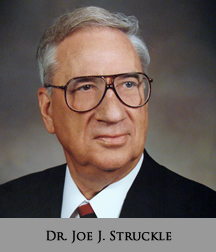 “Father of the free textbook system"; State Superintendent of Public Instruction, 1947-1968; raised status of education in Oklahoma by increasing certification standards. 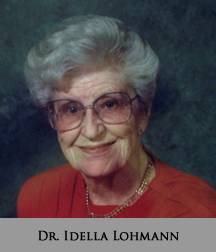 (1901-1968) First woman to receive a Ph.D. from OU; long-time chair, Department of History, Oklahoma College for Women. 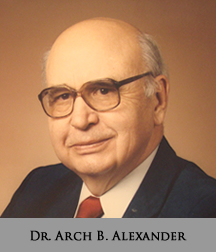 "Father of Oklahoma Vo-tech education"; State Director of the Oklahoma Department of Vocational-Technical Education, 1967-1985.